New York is a fantastic city to visit and explore. Instantly familiar, spying the iconic yellow cabs or witnessing the steam emerging from the manholes on the pavements, sorry, sidewalks, is a wonderfully immersive experience. The skyline is also one of the most famous in the world; no visit to New York is complete without seeing it from the Brooklyn Bridge. 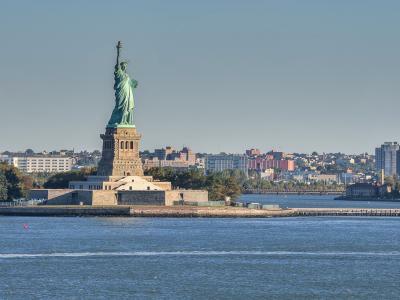 Take a ferry boat trip across to the Statue of Liberty or visit Times Square, there’s just so much to see and do! For the best disabled holiday in New York, New York, book with us, book with us! New York, like many other world class cities, has a reputation for being expensive if you’re a visitor. This isn’t necessarily the case however; there are plenty of things to get your teeth into in The Big Apple without experiencing your own credit crunch! It’s well worth spending some time in Washington Square Park, for example, not least because it won’t be too long before you’ll be propositioned into playing a game of chess by some of the friendly gents there. They’ll sit you down at a concrete table, tell you their life story, scratch their heads and make you think you’re going to win the game, before checkmating you and keeping your dollar. Actually, if you really are on a budget then maybe that’s not such a good suggestion after all! Elsewhere, there’s the 843 acre Central Park, modelled on Birkenhead Park in the Wirral, it opened to the public in 1858 and features 58 miles of walkways, 9000 benches and is home to 20,303 trees, 48 species of ant and 275 species of birds - making it one of America’s top birding sites. Then there’s also the famous shops of course, Macy’s and Bloomingdales, the Museum of Modern Art and Greenwich Village for culture and the Empire State Building and Broadway for sightseeing. The grid system of streets and avenues, plus the 24 hour subway, make New York an extremely accessible city in which to get round. There’s also hundreds of hotels to choose from in addition to a great range of other types of accommodation too. Book a disabled friendly New York holiday with DisabledHolidays.com and let’s make your dream trip a reality! What's available with our disabled holidays in New York? The Hilton Times Square is a modern style hotel located in the heart of Manhattan. This upscale, full-service landmark hotel is located on famous 42nd Street in the heart of Times Square, and is steps from Broadway theatres, lively nightlife, New York City’s best shopping, Restaurant Row, Madame Tussaud’s Wax Museum, Ripley’s Believe It or Not, Rockefeller Center, Radio City Music Hall and much more. Just off Times Square, this hotel is just 1 block from Broadway's glittering Theater District. Before heading out, drop by the theater desk in the lobby; the hotels staff can help get you tickets to must-see shows or events at all the big-name venues. Set in the heart of New York city this hotel is ideal for exploring everything the Big Apple has to offer. 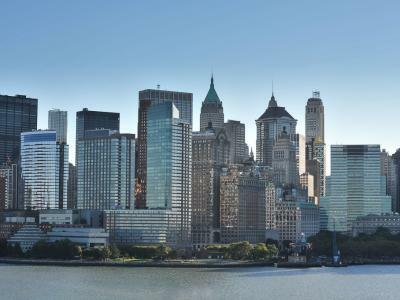 With a great central location be sure to indulge in all that Manhattan has to offer in the way of world-famous restaurants, museums, galleries, shopping and theatres. All of this and so many more entertainment options surround the hotel. The hotel is a modern 4-star property offering stylish accommodation in the heart of New York. The hotel occupies a sleek, modern high-rise property featuring a lightly decorative, angular, glass facade. This is a prestigious 4-star hotel offering comfortable accommodation in the heart of New York. The hotel is located in New York's Upper West Side neighborhood, close to Beacon Theater, Central Park, and Rockefeller Center. Nearby points of interest also include Broadway and Times Square. This charming 4-star luxury hotel is excellently located in the heart of Midtown Manhattan, just a few steps from many of the most famous attractions of New York City. The hotel is a friendly 3-star property offering comfortable accommodation in the heart of New York. Highlights include onsite dining, a pool and a great location in the thriving Hell's Kitchen neighbourhood. No other hotel puts visitors in closer proximity to everything there is to see and do in New York City than this hotel. A leisurely walk will quickly take you to Central Park, Lincoln Center, several museums and many shops. The hotel is a historic 4-star property offering comfortable accommodation in the heart of New York. Overview: The Chatwal is a luxury 5-star property offering stylish accommodation in the heart of New York. Highlights include Art Deco interiors, fine dining, a spa with an indoor lap pool and a great location just off Times Square and Broadway. Location. TRYP Times Square South is located in New York's Midtown West neighborhood, close to Penn Station, Times Square, and Broadway. Nearby points of interest also include Empire State Building and Madison Square Garden. Hotel Features. Hilton Garden Inn New York/West 35th Street is a new hotel built in February 2009, perfectly located in the heart of Midtown Manhattan.